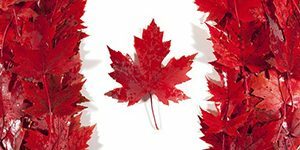 CPDA-Canada is an incorporated subsidiary in Canada of the Council of Producers & Distributors of Agrotechnology based in Washington, DC, USA. CPDA-Canada was created in 2013 in response to growing interest from CPDA members looking to establish a firm foothold in the Canadian agrotechnology market that would provide growers greater access to effective and competitively priced generic pesticide products and tank-mix adjuvants. CPDA-Canada is the only legally incorporated trade association in Canada representing the interests of manufacturers, formulators, and distributors of post patent pesticides and tank-mix adjuvant products, working to minimize current barriers to market entry. CPDA-Canada strives to replicate CPDA’s U.S. successes in Canada; to bring fairness and equity to the Canadian pesticide industry. CPDA-Canada works diligently to better increase the availability of high quality, low priced post patent pesticides and adjuvant products to Canadian growers and producers. On Monday, November 14, 2016, CPDA submitted comments to EPA in response to the Agency’s “Proposed Interim Registration Review Decision for 22 Sulfonylurea (SU) Herbicides.” The availability of the proposed interim decision document was originally announced for public comment in the July 14, 2016 Federal Register and subsequently reopened for public comment in the September 28, 2016 Federal Register. In its comments, CPDA objected to EPA’s proposed adoption of an “ultra-conservative” approach which would mandate the use of very coarse nozzles for all 22 SUs including those chemicals in the group with the smallest risk footprint. CPDA called upon the Agency to instead determine for each SU whether a medium, coarse or very coarse droplet nozzle is appropriate, balancing the marginal benefit of the mitigation measure with the costs to farmers and the potential for inadvertent promotion of weed resistance. CPDA emphasized that a blanket requirement calling for the use of coarse nozzles for all of the SU herbicides ignores the benefits that can be derived from employing Drift Reduction Technology (DRT) in the application of these chemicals, including the use of certain adjuvant-nozzle combinations that have been shown to reduce drift. CPDA stated, “Each SU herbicide may have a different toxicity index and thus exhibit a unique set of characteristics when used with various adjuvant-nozzle combinations. These are DRT practices that offer better herbicide performance, resistance management and drift reduction.” CPDA pointed out that EPA’s “one size fits all” approach would actually result in an effect contrary to the Agency’s stated objective of minimizing herbicide resistance. The less efficacious application method of using coarse nozzles, CPDA explained, would likely result in farmers resorting to increased application rates and increased numbers of applications in trying to achieve the same desired outcomes in weed control. Such activity could actually promote, rather than reduce, herbicide resistance. 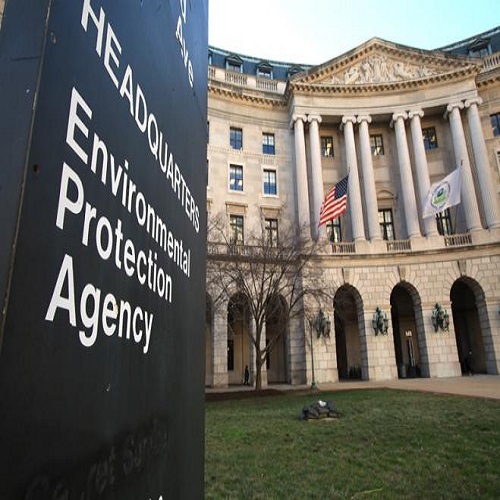 CPDA concluded its comments by offering to meet with EPA to provide more information on the effect of droplet size on the efficacy of SUs and pesticides. To read CPDA’s comments, please click here. 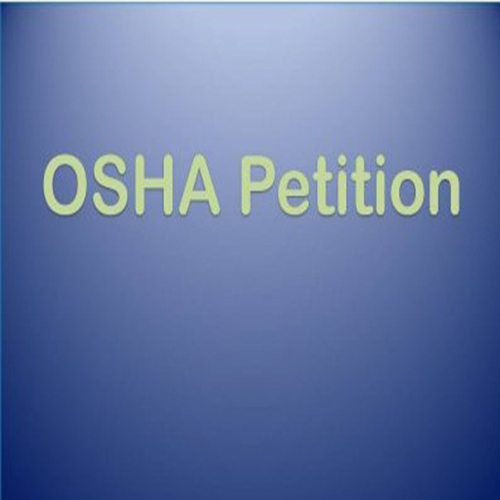 On May 24, 2016, the Council of Producers & Distributors of Agrotechnology, the Agricultural Retailers Association, the International Sanitary Supply Association, and the Society of Chemical Manufacturers and Affiliates submitted a petition to the U.S. Occupational Safety and Health Administration (OSHA) requesting that the Agency issue a Direct Final Rule to amend its 2012 Hazard Communication Standard (HCS 2012). 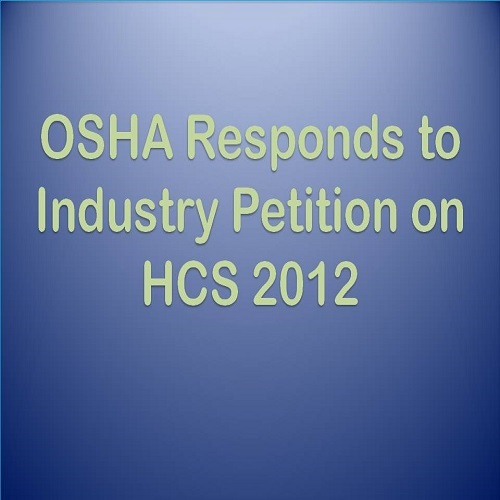 The revision sought by the petitioners would clarify that when firms handling products in sealed containers in warehouses become aware of significant new chemical hazard information they may comply with HCS 2012 by the electronic transmission of an updated label to downstream entities in a manner similar to how updated safety data sheets are transmitted. CPDA is now working with Members of Congress in an effort to build support for the remedy to the HCS 2012 dilemma as set forth in the joint industry petition. The cover letter accompanying the petition may be accessed by clicking here. Following the submission of the petition, CPDA issued a news alert which may be accessed here.